Keith A. Johnson is Chief Executive Officer of Fieldstone Communities, Inc., a home building firm with offices in San Diego, Orange and San Bernardino Counties. In addition to his duties as CEO, he leads the firm's Executive Team and is a Director. A co-founder of the company, Johnson had also founded the activities in San Diego which became Fieldstone's initial operational base. He holds a B.S. degree from Purdue University's School of Mechanical Engineering and an M.B.A. degree from Stanford University's Graduate School of Business. After graduating with distinction from the U.S. Navy's Officer Candidate School, Johnson served aboard a destroyer home ported in Yokasuka, Japan, including 18 months in the Vietnam conflict. Mr. Johnson has been active in many industry activities and is a Past President of the Building Industry Association, and also its President's Council. He has served as President of Housing Opportunities, Inc., a nonprofit developer of low-income housing, and is Past Chairman of the Mayor's Housing Advisory Committee. Keith is active in the San Diego community, involved in several advisory boards to charities and universities. A Trustee of the San Diego Museum of Art and Chairman of their Government Relations Committee, he also is a member of both the Greater San Diego Chamber of Commerce's Business Round table for Education, and CEO's Round table, and lectures at the University of San Diego and San Diego State University. Mr. Johnson is a member of the San Diego Dialogue, and is an Elder of Solana Beach Presbyterian Church. He is on the Board of Directors of The Nature Conservancy, The National Conference for Community and Justice, the City of Hope, and Hardage Suite Hotels, Inc.
Keith has been honored by a number of awards, including Construction Industry Leader of the Year from the building industry, the Spirit of Life award from the City of Hope, Builder Headliner of the Year from the San Diego Press Club, and Distinguished Service Award from Ducks Unlimited, a nationwide conservation organization of which he is a Past Chairman for the San Diego Chapter. In addition, Mr. Johnson was named a Silver Medalist in the Builder's Spotlight Business Excellence Awards, and inducted into the California Building Industry Hall of Fame at the Pacific Coast Builders Conference. 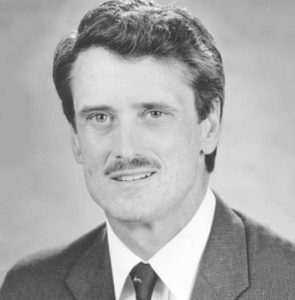 He also has received the Construction Industry's Good Scout Award for 1996 and The Lee Hubbard Award from the Building Industry Association of San Diego County in 1997.